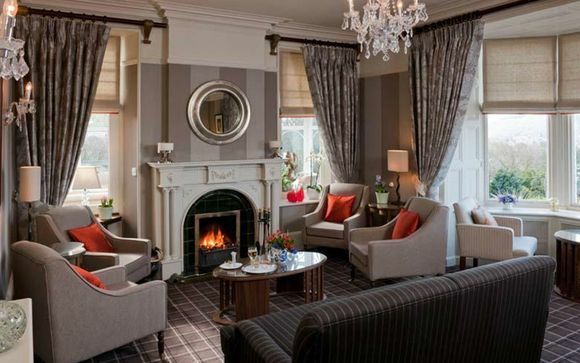 Hillthwaite House Hotel is a family-owned retreat with breathtaking views towards Lake Windermere, an elegant restaurant and an indoor pool. 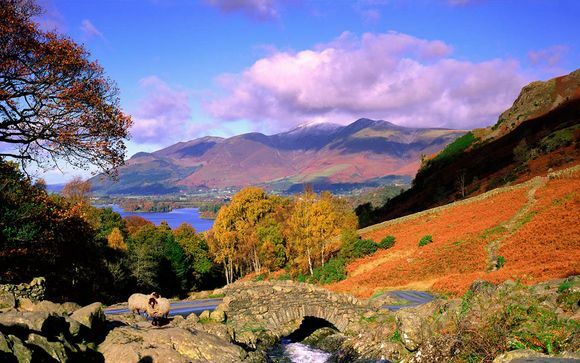 Explore the beautiful surroundings of the Lake District, local villages and cosy country pubs - perfect for any season! Our members can choose from two spacious rooms with a delicious cooked-to-order English breakfast and evening meal each day. In 3 acres of landscaped gardens, Hillthwaite offers a dramatic view over the lake to Langdale Pikes, Crinkle Crags and Coniston Old Man. Whatever you are looking for, whatever the season, visit the Lake District for a year of spectacular events. From traditional county and country shows through to music festivals and big name comedy, local culture and sports. Lake Windermere is England’s largest lake and Windermere Lake Cruises offer cruises from 45 minutes to 3 hours. From majestic steamers and wooden launches, traditional rowing boats and self drive motor boats, it is the most popular attraction in Cumbria. Blackwell, built between 1898 and 1900 is one of Britains finest houses from the turn of the last century, and is one of the country’s most important examples of Arts and Crafts architecture. It’s just a hop, skip and a jump away and is a unique experience for young and old alike. At The World of Beatrix Potter you will experience all 23 of Beatrix Potter’s Tales, brought to life in an indoor creation of the Lake District countryside, complete with sights, sounds and even smells. Undergoing refurbishment until the 15th February, our members will be some of the first to stay in the newly refurbed Hillthwaite House Hotel. It has a fabulous swimming pool, individually designed rooms, a comfortable and cosy lounge, conservatory and terrace looking across Windermere to a striking panorama of Lakeland hills and fells. Sample delicious Cumbrian delicacies in the restaurant and unwind in the on-site sauna and steam room. This hotel is immersed in the stunning scenery. Most of the rooms look out over the lake or fells. The restaurant and private dining facilities have the same west-facing panorama. So does the conservatory. And the popular stone terrace where guests relax after a meal or for afternoon tea and take in the charm, beauty and ever-changing colours of our unique Cumbrian landscape. This offer is based on a Classic Room or Occasion Room. 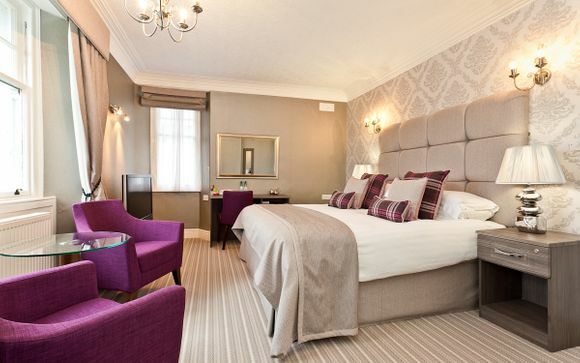 The comfortable Classic Room boasts a double bed with soft Egyptian cotton sheets and an en-suite with shower. Features of this room include free wi-fi, flat screen TV, tea and coffee making facilities and an iron. Each Occasion Room is unique. 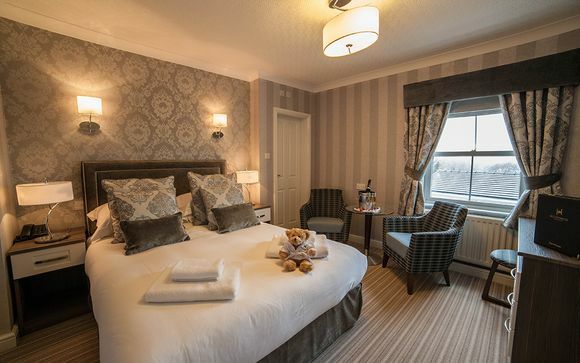 Most enjoy a trademark view over the Lakeland Hills, some have a private balcony and most have a king-sized bed with Egyptian cotton sheets, state of the art bathroom with TV, free-standing bath and a walk in shower. Occasion Rooms possess all the same amenities as Classic Rooms. 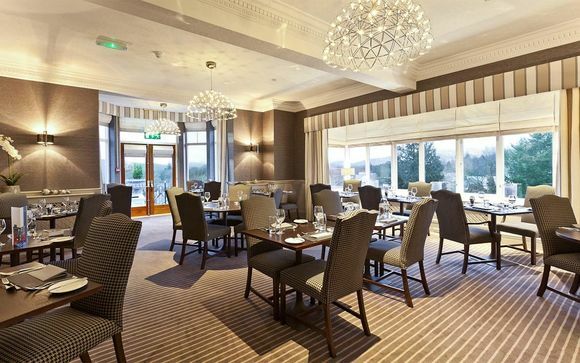 The Hillthwaite restaurant in Windermere offers creative English cuisine with a modern twist. Expect home-cooked Lakeland food using the freshest Cumbrian produce from local suppliers. Enjoy fabulous breakfasts, sumptuous lunches, traditional Sunday lunch, Afternoon Tea, Gentleman's Tea and an extensive wine and cocktail menu. All guests can enjoy free access to the hotels leisure facilities. 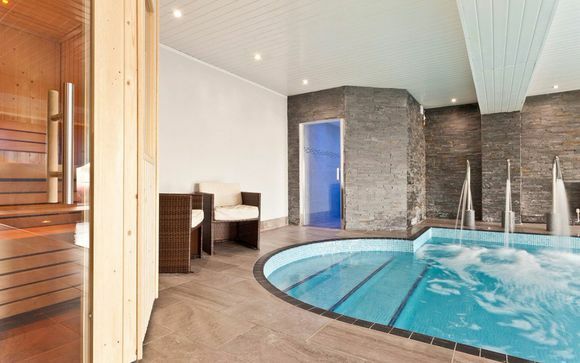 Go for a refreshing swim in the pool, relax in the sauna or lounge in the steam room. After a day of exploring the beautiful surroundings, this is the perfect place to re-charge your batteries! Hillthwaite is just 30 minutes drive from the M6 motorway – putting rare Lake District beauty within easy reach of Lancashire, Merseyside, Greater Manchester and Yorkshire.